Winnifred graduated from the University of Toronto with a B.Sc. in psych and a minor in socio-cultural anthropology, having done her honours thesis on stereotyping and subtyping (with Ken Dion and Kerry Kawakami). She went to McGill and did an MSc with Don Taylor on responses to discrimination and a PhD with him on decision-making in conflict. She came to UQ in 2001 to work with Debbie Terry on a postdoctoral fellowship from the Social Sciences and Humanities Research Council of Canada. 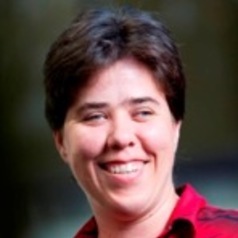 Winnifred obtained a continuing position at UQ In 2005, received tenure and was promoted to Senior Lecturer in 2008, then to Associate Professor in 2013. Winnifred is the author of over 100 peer-reviewed articles in scholarly journals, book chapters, peer-reviewed conference papers, and scholarsly reports. She has been awarded over $1m of competitive grant funding, and is the recipient of national and international awards for excellence in teaching. She is happy to give talks to community groups at the drop of a hat, and to corporate groups with more lead time and incentives. Her research interests focus on the influence of identity and norms on social decision-making. She has studied this broad topic in contexts from political activism to peace psychology to health and the environment.